Situated in Baturiti, this golf resort is within 1 mi (2 km) of Ulun Danu Temple and Bali Botanic Garden. 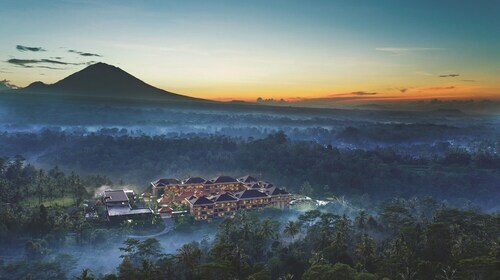 Bali Treetop Adventure Park and Bali Handara Kosaido Country Club are also within 3 mi (5 km). Situated in Baturiti, this hotel is within 9 mi (15 km) of Bali Botanic Garden, Bali Treetop Adventure Park, and Ulun Danu Temple. Bali Handara Kosaido Country Club and Jatiluwih are also within 9 mi (15 km). Situated in Baturiti, this hotel is within 2 mi (3 km) of Ulun Danu Temple, Bali Botanic Garden, and Bali Treetop Adventure Park. 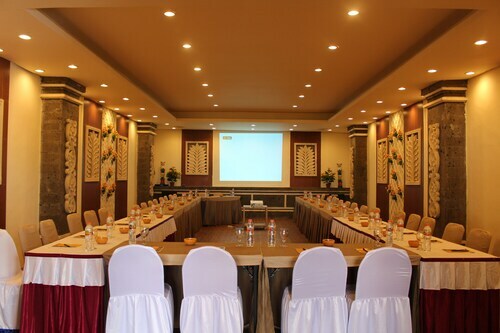 Bali Handara Kosaido Country Club is 2.2 mi (3.5 km) away. Situated in Baturiti, this hotel is within 6 mi (10 km) of Bali Botanic Garden, Bali Treetop Adventure Park, and Ulun Danu Temple. Jatiluwih and Jatiluwih Rice Fields are also within 9 mi (15 km). Set in Baturiti, this family-friendly hotel is within 9 mi (15 km) of Bali Botanic Garden, Jatiluwih, and Jatiluwih Rice Fields. Bali Handara Kosaido Country Club and Ulun Danu Temple are also within 9 mi (15 km). Baturiti is a great location to see, with a good little selection of available hotels. There are 3 located less than 5 kilometres from the middle of town. 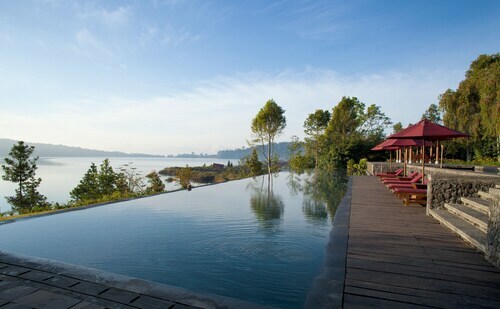 Stay near all the hustle and bustle at the Puri Candikuning and Royal Tulip Saranam Resort and Spa. Hoping to find a place in Baturiti loaded with great hotel options? Check out Sukasada, which offers 5 hotel options and is only 16 kilometres from downtown Baturiti. 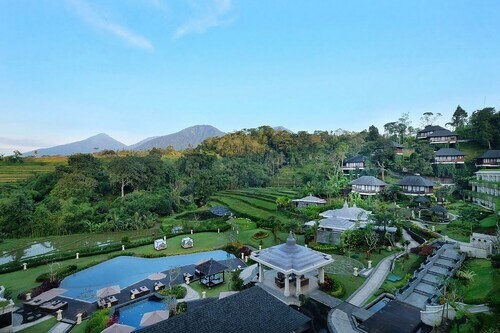 Amongst the better known hotel options in Sukasada are The Damai, The Khana Sambangan, Puri Mangga Sea View Resort & Spa, Villa Le Tito and Villa Patria. You can book accommodation near to the Ulun Danu Temple. Book a stay at Handara Golf & Resort Bali. It's just a small drive away. Find out how local goods and products are made and have a chinwag with the different vendors at Bedugul Market. If you're considering staying somewhere near this hotspot, check out CLV Hotel & Villa. It's the only available hotel here, so make sure you make haste! 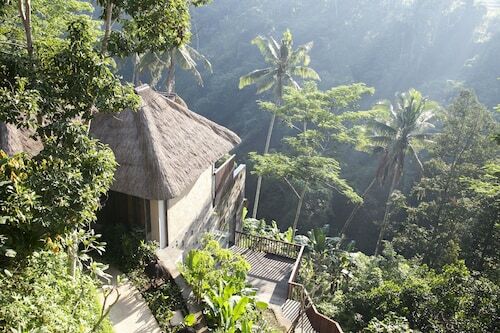 For some alternatives, try out the Viceroy Bali and the Four Seasons Resort Bali at Sayan. They are located 25 kilometres and 25 kilometres respectively from the center. 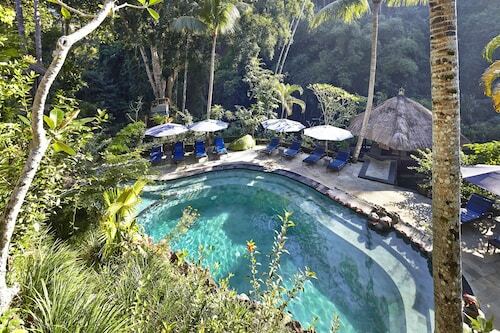 If these don't suit you, you can try the Chedi Club Tanah Gajah, Ubud or the COMO Shambhala Estate. If you want to go to some close by cities, check out Kerta and Munduk. Head 12 kilometres to the east of Baturiti and you'll discover Kerta. Alternatively, Munduk is 12 kilometres to the west. Hotels and apartments in Kerta are the Puri Sebatu Resort and Padma Resort Ubud. Munduk options are the Munduk Moding Plantation and Puri Lumbung Cottages. Ngurah Rai International Airport is the most logical airport for arriving in Baturiti and is 50 kilometres drive from the CBD. If you choose to stay nearby, try the Four Seasons Resort Bali at Jimbaran Bay or the Temple Hill Residence Villa. How Much is a Hotel Room in Baturiti? Hotels in Baturiti start at AU$31 per night. Prices and availability subject to change. Additional terms may apply.